It is autumn with cool breeze and pleasant weather. It is the best season to do outdoor activities, but you should be careful of the chance of pigmented diseases such as melasma, blemish, and freckle due to long-term UV exposure. You become careless for your skin care because sun light in the Fall season is less strong than Summer, thus you feel cool, resulting that melasma and freckles occur easily. If you suffer from pigment disease, melasma and freckles will be more deeply established. A definite separation between melasma and freckles is necessary because they are hardly distinguished in appearance, thus they could be considered the same pigmented disease and could be treated with the same therapy. The disease eventually could be worsened after the treatment. Melasma is that brown or gunmetal hyperpigmentation with various sizes is occurred on areas such as cheek, forehead, upper lips, nose, and jaw. Color of lesion is different depending on depth of hyperpigmentation. It is brown, gunmetal, and brown-gray when hyperpigmentation is on epidermis, dermis, and mixing type, respectively. Mixing type is the most common among them. Freckles that are yellow-brown pigmented spots appear scattered over sun-exposed areas such as the nose, cheeks, back of hands and front breasts. They are small in diameter less than 5mm to 6mm. The shape may be round or oval and angular. Their color turns to dark brown if they are exposed to sun light too much. For aesthetic purpose, melasma and freckles can be removed by laser or peeling. It is hard to be removed by treatment through a session, but it could be improved by repeated treatments. You should be careful, especially when treating melasma and freckles in the same way, not only do they not improve, but they could also settle deeper. The reason of it is a difference of penetration depth to skin. PicoLO Toning by using PicoLO laser device that can treat pigmented diseases on various areas by destroying pigments much smaller through a strong energy (1.1GW) of dual wavelength-532nm and 1064nm and a short pulse duration (a trillionth of a second) is effective. PicoLO induces a strong LIOB (Laser Induced Optical Breakdown) phenomenon in dermal layer and builds up micro bubbles to induce collagen regeneration, so PicoLO is also broadly used to treat not only pigmented lesions, but also scar treatment, pore tightening, and tattoo removal because it is very effective for skin rejuvenation without any damages of skin. 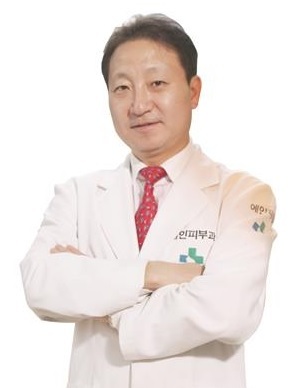 Byung-Ik Choi from Yein Clinic Mokdong said that pigmented diseases such as a settled melasma and freckles are hard to be disappeared naturally. Although You treat skin diseases through many sessions, effectiveness could be inadequate depending on care depending on skin type after treatments, so it is important to figure out individual skin type and depth of pigmented diseases and to find out an appropriate treatment. Finally, after the procedure, you should pay more attention to skin care than before.